← Is Something In The Water? I See Our Crocheters Growing! Was listening to the radio the other day. I found one of the questions so intriguing that I missed my turn as I was deep in thought. I got thinking about the question and then related it to crochet. So this is the question on my mind lately and you can comment below to your thoughts. If I were to give you 5 jumbo cases of assorted yarns and said you could have them free but you had to agree to stay off of Facebook for 14 days. No message checking, no peeking on Facebook in anyway. Would you trade free yarn for being completely cut off Facebook for 14 days… what would you choose? Leave me your answers below. I may use some of these answers in a future posting. For me, I don’t think I could give up Facebook for free yarn. I’m addicted to to both but having no Facebook… I don’t think I can do it without cheating! 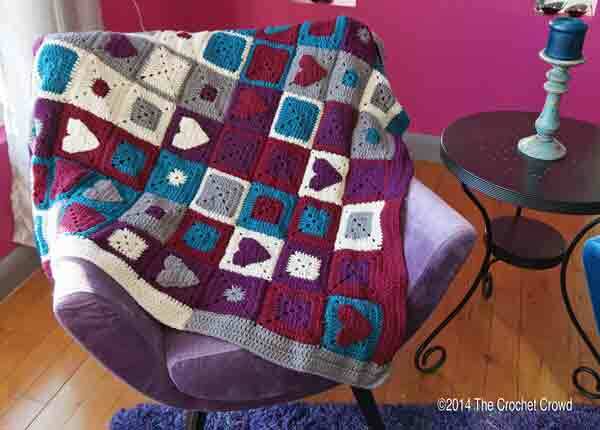 This entry was posted in Announcements and tagged Choice, crochet crowd, Facebook, Mikey, Yarn. Bookmark the permalink. 393 Responses to Would You Give Up Facebook For A Week? Oh boy would I ever give up Facebook for free yarn. I’m a pensioner like lots of others and can’t afford yarn. People have given me yarn which I am grateful for but not enough of one weight, colour etc to do anything with. Mikey does a tutorial on Enterlac Crocheting. He also does a tutorial on “Around the World Enterlac Throw” which I would love to attempt. Wouldn’t it be a dream to have enough yarn of colors that one loves to do it. Dream on. I sure would take the yarn. I love Facebook and all of the new friends I have made. I could live without Facebook because it is just like soap opera, it would still be there in 2 weeks and very little would be different. I would much rather have the yarn!!! I lived before Facebook and I could live without it, as long as I’m allowed e-mail because some of my best friends were met on Facebook And I’d have to go through my stacks of cd’s for games to download since gaming takes up a great deal of my Facebook time. Sounds like it would give me two weeks to organized my yarn room so I have a place to store my new ginormous boxes of yarn that will be coming in. BTW, don’t ask about my TV, that’s a whole different story. It would depend in when you have me the yarn, Mikey! If I had new yarn in hand it would be a lot easier to stay off FB than if I had to stay off FB to earn the yarn as a reward. Yes, Yes and Yes!! I would stay off Facebook for two weeks and that would get some things done that are waiting to be finished. Some sewing that needs doing and crochet projects finished. Have four on the go. For free yarn… you bet your sweet pat-tuti I would. I most certainly would. I would just go on all the crochet sights and be happy as a clam. I just got back from vacation, was gone for 9 days, no facebook or email. So YES, I would give up FB for 14 days for free yarn. It would be easy as I crocheted through thru yarn… would be too by for Facebook… would give up email too! I would not only give up Facebook, but I’d give up all social sites (minus Crochet Crowd website – I have to access the patterns and see what others are doing), for a whole month! I definitely could give up facebook for that amount of time since I will be busy crocheting and finishing projects that I started. lol!!!! Not being able to keep up with my girls on FB, well, they’d just get a lot of phone calls those two weeks….LOL!! Oh yes, I would give up Facebook for 2 weeks. I use Facebook to stay up to date with family and friends, but I can go back to sending little notes by email and besides…would be happily be sorting the new yarn and crocheting. Sighhhhhhhhhhhhh……just thinking about it makes me all dreamy and smiling. I have only been on Facebook for a couple of years, but I have been crocheting for close to 30 years. I would gladly give up Facebook for a week in exchange for yarn. I would give up facebook. I don’t use it that much. I would be happy to play with all that yarn. I could’ve definitely stay off Facebook for 2 weeks for free yarn. I’m hardly on it anyways. I could give up Facebook easily for two weeks.Just need it for birthdays and holidays so I can contact friends and family that are far away . I’d give up Mtn Dew and Facebook! And I love my Mtn Dew! Hell yeah give me the yarn!! Did you say “FREE YARN”. Most certainly I could give up FB for 14 days to get that wonderful gift. Besides you can go back to your friends home page and check on what was missed during those days and also check the “lists” that you have created. I don’t do Facebook so I have nothing to give up. Yes! Yes! Yes! I would in a Heartbeat!! I would give it up for a month or two months for all that yarn! I already did on the crochet cruise!